My husband recently had his DNA analyzed by ancestry.com. Unlike my family tree, which is limited to a fairly small area of northern Europe, his tree is a melting pot with branches from the United Kingdom, the Portuguese island of Madeira, the West Indies, and Africa. In addition to some basic information about geographic origins, ancestry’s DNA analysis alerts users to matches found within their huge customer database. These matches may be close relatives, but the bulk are more distant – fifth to eighth cousins. Ancestry’s tools for searching through these matches are unfortunately very rudimentary, which makes looking into the nature of the relationships almost impossible at times. Clicking on thousands of DNA matches in order to check trees for family connections is just not feasible. In any case, one can still stumble on valuable clues. I noticed a number of matches in the deep south, in states like Alabama and Mississippi. My husband has no known roots in that area, but some research into the federal census records for the late 1800s led to a small revelation. In a southern town pointed to by the DNA information, there were some families with Portuguese sounding names. The birth places for these people were very often Illinois. My husband’s Cabral ancestors immigrated to the West Indian island of St Kitts, where they worked as farm laborers for a period before moving on to middle class occupations. A quick google search on Madeiran immigrants in Illinois led to a very interesting story. In 1838, a Scottish physician and missionary named Robert Reid Kalley began converting several hundred Catholic Madeirans to Presbyterianism. By 1846, persecution of the Protestant converts rose to the level of death sentences for blasphemy and mob violence that included public beatings and torching houses. At that time, a ship named the “William of Glasgow” was waiting in a Madeiran harbor to take farm workers to the sugar plantations of the West Indies. The Protestant families were able to flee the island on this ship, which initially took them to the island of Trinidad, but living and working conditions there were very harsh. Several Protestant societies in the United States took up the cause of the religious converts, arranging for them to be transported to New York City and then on to church groups in Springfield and Jacksonville, Illinois, who were willing to help the Madeirans establish themselves in a new country. By the early 1850s, about 1000 Madeirans had settled in Illinois, many striving to purchase land to farm as they did in their home country. But where is the connection with Abraham Lincoln’s first lady, Mary Todd Lincoln? In 1837, Abraham Lincoln moved to Springfield, Illinois, where he practiced law and served as a state legislator. From this home base, he was elected to the US congress, and eventually to the presidency. The Lincoln’s domestic help was taken partially from the local immigrant population. Mary Todd’s dressmaker was a Madeiran woman named Charlotte Rodruiguis who came with her family to Springfield in 1849. 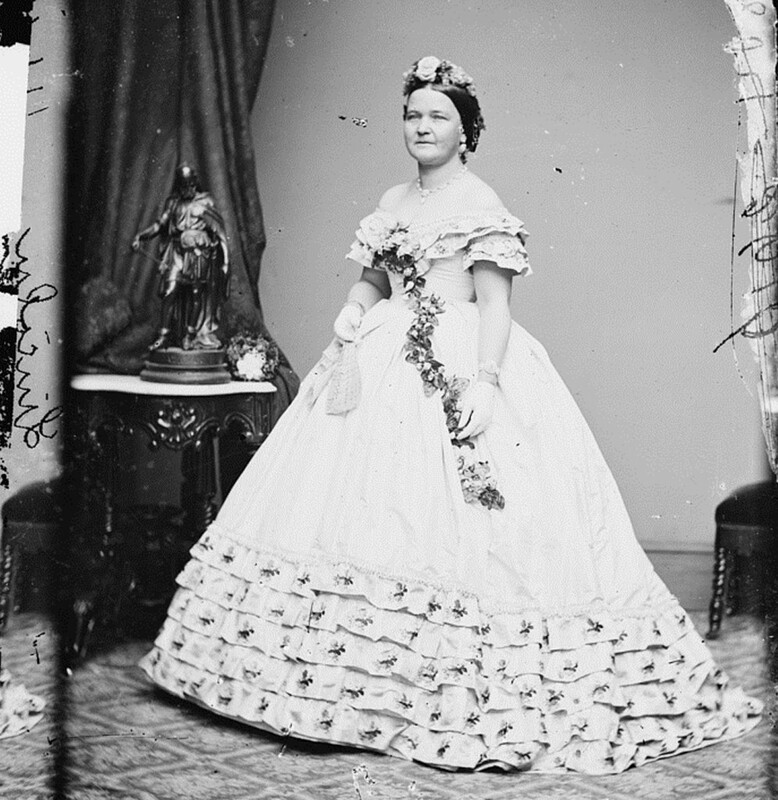 She worked for Mrs. Lincoln during the presidential campaign of 1860, and prepared her wardrobe for taking on the role of first lady in Washington. It’s not clear yet what my husband’s relationship is to these Madeiran descendants living in the south, but from the small population of Madeira, and the even smaller number that came to the US, the chances of some sort of family tie are good. As more DNA profiles are added to ancestry’s database, the trees will hopefully fill in!